Elizabeth Swaney is a 33-year-old skier from Oakland, California who competed in the 2018 Winter Olympics for Hungary. 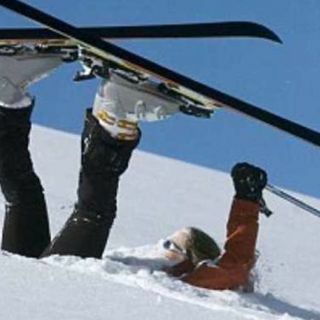 She is not a good skiier. Swaney, who said her grandparents came from Hungary, earned her Olympic berth more from attending World Cup events than actually competing. Women’s pipe skiing World Cups rarely see more than 30 competitors, so it’s not hard to meet the Olympic requirement for a top-30 finish. Jeff and Anthony go back and forth on this one.